Face ID, Apple’s latest solution for biometric device entry, arrived for consumers in November 2017 with the iPhone X. While Face ID has some advantages over Touch ID, some people seem to feel that it is slower than the more seasoned authentication method. This is hardly surprising, as Touch ID has been a part of the iOS ecosystem since 2013. People have not only gotten used to it, but Apple has been improving and iterating on Touch ID since its implementation. By contrast, this is the first generation of Face ID, and new ways of doing things take some time to get used to. Apple will also likely be spending the next several years updating and improving the technology on both the hardware and software sides. 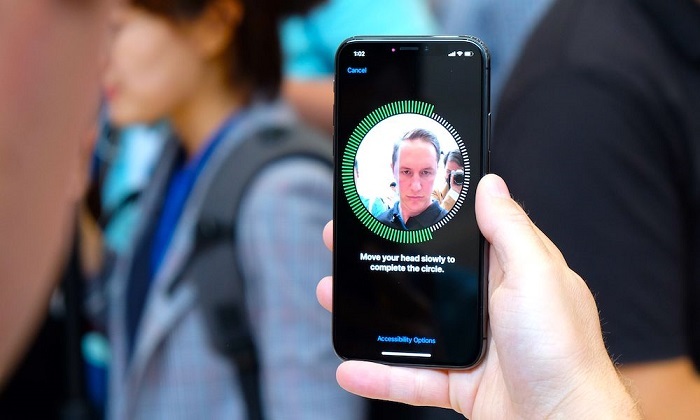 But while we patiently await newer, faster versions of Face ID, there are still a few things you can do to speed up the current Face ID experience on the iPhone X. Attention detection is an extra level of security baked into Face ID that lets Face ID work only when you’re looking at your iPhone. This way, for instance, somebody can’t unlock your iPhone when your eyes are closed. But this means that you have to bring your iPhone X up to your face before it can be unlocked. Many find that with newer iPhones with Touch ID, they can unlock it and be ready to use it before the phone is out of their pocket. While it won’t be the same experience as Touch ID, you can turn off attention detection in order to help speed up the Face ID process. Just remember that you’ll be sacrificing a little bit of security for this, so turn off attention at your own risk. Unfortunately, there’s just not a lot that can be done on the technical side to make Face ID work faster outside of disabling attention. There are no steps you can follow that lead to Face ID definitely being faster every time you use it. Some of it just comes down to your behaviors and the circumstances under which you use your iPhone. Face ID needs a certain set of data each time it’s used, and there’s no getting around that. So here’s what you can do to make sure you’re giving Face ID what it needs. Face ID needs to be able to detect your eyes, nose, and mouth. While it can detect your eyes even when they’re closed (if attention is off), you’ll need to have your nose and mouth uncovered if you plan on unlocking your iPhone X with your face. While it’s not entirely rigid in its requirements for being uncovered (you can use Face ID if you’ve got a big, bushy beard, or if you’re brushing your teeth, for instance), for best, fastest results, you’ll want your whole face free and clear of an obstruction. This also means that you might want to take off sunglasses if you’re wearing them. While Face ID works fine with some sunglasses, others obstruct its sensors and prevent face detection. Despite the worry expressed by some when it was first revealed, I’ve personally found that Face ID works perfectly in the dark. This is because the TrueDepth camera system that powers Face ID works using infrared sensors. The data is captured using the dot projector, flood illuminator, and infrared camera, with the 7MP front-facing camera not actually playing into anything beyond the initial setup process. But because the system uses infrared technology, places with strong sunlight may disrupt detection, especially if that light is shining right on your face. Find somewhere with a little shade if you’re having trouble with Face ID on a bright day. In the case of Face ID, farther is better. Putting a bit of distance between your iPhone and your face actually helps with detection because it gives the TrueDepth sensors a wider shot to work with, while closer shots my hinder detection. There is a limit, though. Anything more than a full arm’s length away from your face may cause detection to fail. Next What if Samsung’s Galaxy S9 gets these six features?